On 19 December 2014, more than 100,000 Swiss voters submitted the so-called “Reparation Initiative”. The necessary signatures were collected within barely more than half a year. Consequently, the Swiss people will decide on whether past injustices in the social constitutional state shall be investigated and reparations be paid also in Switzerland. The Reparation Initiative demands the reappraisal of the history of welfare-related coercive measures and foster care placements practiced in Switzerland up until the 1980s. The Initiative also demands financial compensation for the victims of such measures, whether they were children placed in institutions or in foster families (the latter were also called “thinged” children), or whether they even suffered forced sterilization or forced adoption. A victims fund of 500 million Swiss francs will be set up. It is noteworthy that, after the submission of the Reparation Initiative, already on 14 January 2015 the Federal Council made an extremely fast decision to work out an indirect counter-proposal and declared itself also in favor of financial compensations for the victims. This marks a significant step because federal policy thus in principle endorses the demand for historical reappraisal, for the documentation of past events, and for the acknowledgement of past injustices and compensation for the victims. The counter-proposal of the Federal Council differs mainly as regards the amount of financial compensations to be provided. As with so many reparation processes in the last few years and decades, the Reparation Initiative also has its roots in the memory culture. Those who suffered injustices have ben given a voice in public history. They have expressed their concerns in magazines like the “Beobachter” (The Observer), have participated on panels as contemporary witnesses, and have appeared in documentaries and movies. One well-known example is “Der Verdingbub” (The hireling-boy), a touching movie about the welfare injustices “based on 100,000 true stories”. These testimonies prepared the ground for political initiatives. Thus, the Governing Council of the Canton of Lucerne, for example, responded to public demands and mandated a historical-scientific reappraisal and examination of past events (the project was directed by Markus Furrer ). Sometimes such reparation processes are initiated by politics or legislation. Thus, in the same week as the Swiss Federal Council dealt with the Reparation Initiative, the Chief Prosecutor of the International Criminal Court in The Hague, Fatou Bensouda, opened a preliminary investigation on the situation in Palestine and on possible war crimes . The Chief Prosecutor will examine the present situation in the region as well as past events. It seems that the bombardment of the Gaza Strip by the Israeli army in summer 2014 will also be investigated. According to the Palestinian Ministry of Health, 2,230 people lost their lives at the time and approximately 11,000 inhabitants of the Gaza Strip were said to be injured. Failing a court ruling, however, no official investigation can be initiated. It is uncertain, however, whether the investigative process will move beyond reappraisal and documentation to the next two phases of Reparation – the acknowledgement of past injustices and financial compensation from the victims. This is due to the limited powers of the International Criminal Court. Only perpetrators who are nationals of a state which has ratified the establishment of the Criminal Court can be prosecuted. So far 123 states, including Switzerland, have done so, not however states which either take into account genocide, crimes against humanity or war crimes to achieve their political goals, or which do not support the International Criminal Court for other reasons. Countries which have not so far ratified the statute include the US, Russia, the People’s Republic of China, North Korea, Israel, Syria, and Sudan. A topic for history teaching? The International Criminal Court and reparation stand for the concern to create a fairer world and to atone for injustices committed. How past injustices are dealt with is hardly ever discussed in history classes. Very seldom do I see the topic of reparation debated during my many class visits. Concrete cases are presented and discussed only in very few history textbooks, and the International Criminal Court does not appear in any of the history curricula that I have analyzed. But it is precisely the acknowledgement and reparation of past injustices which presents one of the best learning opportunities. Hardly any other topic lends itself so well to demonstrating how important a systematic and conscious approach to the interactions between content analyses, content judgments, and value judgments is. What is more, various historical-didactical principles, for instance, the relevance of the past to the present or the future, are very well suited to studying concrete cases. Eventually, successful reparation processes evidence which positive developments can be triggered if history and memory cultures mutually stimulate each other and create a fruitful exchange. And what better goal could there be for history teaching than revealing how people fight for a more equitable present and future by dealing with the past? Markus Furrer et al, (eds. ), ‘Kindheit ohne eigene Familie. Fürsorge und Zwang: Fremdplatzierung von Kindern und Jugendlichen in der Schweiz 1850–1980 / Entre assistance et contrainte: le placement des enfants et des jeunes en Suisse 1850–1980’. Itinera 36. Basel: Schwabe 2014. Peter Gautschi/ Helmut Meyer, ‘Vergessen oder Erinnern? – Völkermord in Geschichte und Gegenwart’. Zurich: Lehrmittelverlag des Kantons Zürich 2001. Dan Diner/ Gotthart Wunberg, ‘Restitution and Memory. Material Restoration in Europe’. 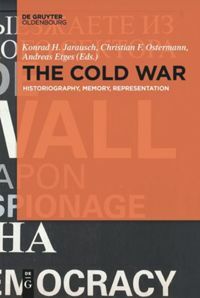 New York/ Oxford: Berghahn Books 2007. Website of the Committee of the Reparation Initiative: http://www.wiedergutmachung.ch/home/ (last accessed 23.01.2015). Website of the movie “Der Verdingbub” and respective teaching materials: http://www.verdingbub.ch/index.php?option=com_content&view=frontpage&Itemid=201 (last accessed 23.01.2015). Dossier of the Journal “Der Beobachter” on the issue of placing children in foster care in Switzerland: http://www.beobachter.ch/dossiers/dossier-fremdplatziert/ (last accessed 23.01.2015). The initiative committee’s website includes some further information and also victims stories : http://www.wiedergutmachung.ch/home/ (last accessed 23.01.2015). The “Beobachter” traditionally fights for the rights of the victims of administrative arbitrariness and gives them a voice. Thus, it revealed the unlawful activities of the aid organization «Kinder der Landstrasse» (children of the country road) which robbed the Jenisch of their children. At a political level, it fought for the rights of crime victims by launching a referendum that resulted in the passing into law of the Swiss Victim Assistance Act. And it has significantly influenced the debate about how to deal with victims of welfare-related coercive measures for decades: http://www.beobachter.ch/dossiers/dossier-fremdplatziert/ (last accessed 23.01.2015). Tagline on the movie website: http://www.verdingbub.ch/index.php?option=com_content&view=frontpage&Itemid=201 (last accessed 23.01.2015). Martina Akerman/ Markus Furrer/ Sabine Jenzer, ‘Bericht Kinderheime im Kanton Luzern im Zeitraum von 1930-1970’. Download under: http://www.phlu.ch/fileadmin/media/phlu.ch/ab/fw/s1/Schlussbericht_Kinderheime_Luzern_01.pdf (last accessed 23.01.2015). The history textbook “Hinschauen und Nachfragen” is an exception. It dedicates an entire chapter to “the acknowledgement and reparation of past injustices”. Barbara Bonhage et al., ‘Hinschauen und Nachfragen – Die Schweiz und die Zeit des Nationalsozialismus im Licht aktueller Fragen’. Zurich: Lehrmittelverlag des Kantons Zürich 2006. © Gottfried Keller Foundation, Berne. Bernese Foundation of Photography, Film and Video, Museum of Fine Arts Berne, Deposit Gottfried Keller Foundation. Boys in front of the home director. Boy’s Educational Home Oberbipp, Canton of Berne, 1940. Photo: Paul Senn. Gautschi, Peter: Time for Reparation. In: Public History Weekly 3 (2015) 5, DOI: dx.doi.org/10.1515/phw-2015-3448. Am 19.12.2014 haben über 100.000 Schweizer StimmbürgerInnen die so genannte “Wiedergutmachungs-Initiative” eingereicht. Die nötigen Unterschriften wurden in gut einem halben Jahr gesammelt. Damit wird das Volk darüber befinden, ob auch in der Schweiz vergangenes Unrecht im sozialen Rechtsstaat untersucht und entschädigt werden soll. Die Wiedergutmachungsinitiative fordert eine Aufarbeitung der Geschichte der fürsorgerischen Zwangsmassnahmen und Fremdplatzierungen, die in der Schweiz bis in die 1980er Jahre praktiziert wurden, und sie verlangt eine finanzielle Entschädigung für all diese Opfer, seien sie nun Heim- oder Verdingkinder gewesen oder gar zwangssterilisiert oder zwangsadoptiert worden. Für solche Opfer sollen 500 Millionen Franken in einem Fonds bereitgestellt werden. Bemerkenswert ist, dass der Bundesrat ausserordentlich schnell nach Eingabe der Initiative bereits am 14. Januar 2015 entschieden hat, einen indirekten Gegenvorschlag zur Wiedergutmachungsinitiative auszuarbeiten und sich wie die Initiative ebenfalls für finanzielle Leistungen zugunsten der Geschädigten ausspricht. Das ist ein bedeutsamer Schritt, weil damit von bundespolitischer Seite her sowohl die Forderung nach Aufarbeitung und Dokumentation des Geschehenen als auch die Anerkennung des vergangenen Unrechts und Entschädigung für die Geschädigten grundsätzlich befürwortet werden. Der Gegenvorschlag des Bundesrates unterscheidet sich vor allem in der Höhe des bereitzustellenden Geldes für die Entschädigungen. Wie bei so vielen Wiedergutmachungsprozessen der letzten Jahre und Jahrzehnte ging auch hier die Initiative aus der Erinnerungskultur hervor. Menschen, die vom Unrecht betroffen waren, bekamen eine Stimme. Sie äusserten sich in Zeitschriften wie dem “Beobachter”, sie diskutierten auf Podien als Zeitzeugen jener Zeit, über sie wurden Dokumentar- und Spielfilme gedreht. Bekannt ist beispielsweise “Der Verdingbub”, der dieses Unrecht “basierend auf 100.000 wahren Geschichten” emotional bewegend als Spielfilm inszenierte. Diese erinnerungskulturellen Zeugnisse bereiteten den Boden für politische Initiativen. So nahm beispielsweise der Luzerner Regierungsrat die Forderungen der Öffentlichkeit auf und beauftragte eine geschichtswissenschaftliche Aufarbeitung und Sichtbarmachung der Geschehnisse unter Leitung von Markus Furrer. Manchmal werden solche Wiedergutmachungsprozesse auch von politischer oder juristischer Seite her angestossen. So hat in derselben Woche, in der sich der Schweizer Bundesrat mit der Wiedergutmachungsinitiative beschäftigt hat, die Chefanklägerin des Internationalen Strafgerichtshofes in Den Haag, Fatou Bensouda, eine Voruntersuchung zur Situation in Palästina und zu möglichen Kriegsverbrechen eröffnet. Die Chefanklägerin wird nun zunächst Informationen zur Lage in dem Gebiet prüfen. Sie will also sichtbar machen, was in diesem Gebiet geschieht und in den letzten Jahren geschehen ist. Untersucht wird offenbar auch der Beschuss des Gazastreifens durch die israelische Armee im Sommer 2014. Dabei kamen nach Angaben des palästinensischen Gesundheitsministeriums 2.230 Menschen ums Leben. Rund 11.000 Einwohner des Gazastreifens seien verletzt worden. Für die Einleitung eines offiziellen Ermittlungsverfahrens muss es allerdings einen richterlichen Beschluss geben. Ob dieses Verfahren in Palästina aus der Phase der Aufarbeitung und Dokumentation des Geschehenen zu den nächsten beiden Phasen von Wiedergutmachung, nämlich zur Anerkennung des vergangenen Unrechts und zur Entschädigung für die Geschädigten vorankommt, ist unsicher. Das hängt damit zusammen, dass der Internationale Strafgerichtshof eine begrenzte Macht hat. Er kann nur gegen Täter ermitteln, die einem Staat angehören, der die Grundlage des Strafgerichtshofs ratifiziert hat. Bisher haben das immerhin 123 Staaten getan, unter ihnen auch die Schweiz, nicht jedoch Staaten, die entweder Völkermord, Verbrechen gegen die Menschlichkeit oder Kriegsverbrechen in Kauf nehmen, um ihre politischen Ziele zu erreichen, oder andere Gründe angeben, wieso sie den Internationalen Strafgerichtshof nicht unterstützen wollen. Nicht ratifiziert haben das Statut Länder wie zum Beispiel die USA, Russland, Volksrepublik China, Nordkorea, Israel, Syrien, Sudan. Strafgerichtshof und Wiedergutmachung stehen für die Anliegen, eine gerechtere Welt zu schaffen und begangenes Unrecht zu sühnen. Im Geschichtsunterricht wird dieser spezifische Umgang mit Vergangenheit jedoch kaum behandelt. Ganz selten sehe ich bei meinen vielen Unterrichtsbesuchen die Behandlung von Wiedergutmachung. Nur in wenigen Schulgeschichtsbüchern werden konkrete Fälle vorgestellt und besprochen, und der Internationale Strafgerichtshof taucht in keinem der Geschichtslehrpläne auf, die ich analysiert habe. Dabei wäre gerade die Beschäftigung mit der Anerkennung und Wiedergutmachung von vergangenem Unrecht eine der besten Lerngelegenheiten für historisches Lernen. Bei diesem Thema ist es wie bei kaum einem anderen möglich, SchülerInnen aufzuzeigen, wie wichtig ein systematisches und bewusstes Zusammendenken von Sachanalyse, Sachurteil und Werturteil ist. Darüber hinaus drängen sich eine Reihe von geschichtsdidaktischen Prinzipien, so etwa Gegenwarts- und Zukunftsbezüge, bei vielen konkreten Fällen geradezu auf. Schließlich belegen gelungene Wiedergutmachungsprozesse, welch positive Entwicklungen in Gang gesetzt werden können, wenn Geschichtswissenschaft und Erinnerungskulturen sich gegenseitig anregen und befruchten. Und welch besseres Ziel gibt es für Geschichtsunterricht als aufzuzeigen, wie sich Menschen mit Hilfe ihre Beschäftigung mit der Vergangenheit für eine gerechtere Gegenwart und Zukunft einsetzen? Furrer, Markus u.a. (Hrsg. ): Kindheit ohne eigene Familie. Fürsorge und Zwang: Fremdplatzierung von Kindern und Jugendlichen in der Schweiz 1850–1980 / Entre assistance et contrainte: le placement des enfants et des jeunes en Suisse 1850–1980. Itinera 36. Basel 2014. Gautschi, Peter / Meyer, Helmut: Vergessen oder Erinnern? – Völkermord in Geschichte und Gegenwart. Zürich 2001. Diner, Dan / Wunberg, Gotthart: Restitution and Memory. Material Restoration in Europe. New York / Oxford 2007. Website des Komitees der Wiedergutmachungsinitiative: http://www.wiedergutmachung.ch/home/ (zuletzt am 23.01.2015). Website zum Spielfilm “Der Verdingbub” und zu Unterrichtsunterlagen dazu: http://www.verdingbub.ch/index.php?option=com_content&view=frontpage&Itemid=201 (zuletzt am 23.01.2015). Die Website des Initiativkomitees enthält eine Reihe von weiterführenden Informationen und auch Geschichten von Betroffenen: http://www.wiedergutmachung.ch/home/ (zuletzt am 23.1.2015). Der ‚Beobachter‘ setze und setzt sich traditionell für die Opfer behördlicher Willkür ein und gibt ihnen eine Stimme. So deckte er die Machenschaften des Hilfswerks «Kinder der Landstrasse» auf, das Jenischen ihre Kinder entriss. Politisch machte er sich für die Opfer von Straftaten stark, indem er per Volksinitiative das Opferhilfegesetz durchsetzte. Und er hat die Debatte über den Umgang mit den Opfern von fürsorgerischen Zwangsmassnahmen über Jahrzehnte wesentlich mitgeprägt: http://www.beobachter.ch/dossiers/dossier-fremdplatziert/ (zuletzt am 23.01.2015). Werbezitat auf der Homepage des Films: http://www.verdingbub.ch/index.php?option=com_content&view=frontpage&Itemid=201 (zuletzt am 23.01.2015). Martina Akerman / Markus Furrer / Sabine Jenzer: Bericht Kinderheime im Kanton Luzern im Zeitraum von 1930-1970. Download unter: http://www.phlu.ch/fileadmin/media/phlu.ch/ab/fw/s1/Schlussbericht_Kinderheime_Luzern_01.pdf (zuletzt am 23.01.2015). 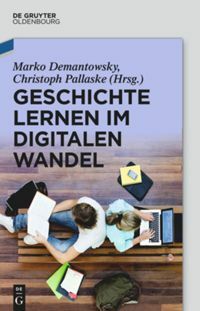 Die Ausnahme ist das Schulgeschichtsbuch „Hinschauen und Nachfragen“. Hier befasst sich ein ganzes Kapitel mit der “Anerkennung und Wiedergutmachung von vergangenem Unrecht”. Barbara Bonhage u.a. : Hinschauen und Nachfragen – Die Schweiz und die Zeit des Nationalsozialismus im Licht aktueller Fragen. Zürich 2006. © Gottfried Keller-Stiftung, Bern. Bernische Stiftung für Fotografie, Film und Video, Kunstmuseum Bern, Depositum Gottfried Keller-Stiftung. Buben vor dem Heimleiter. Knabenerziehungsheim Oberbipp, Kanton Bern, 1940. Foto: Paul Senn. Gautschi, Peter: Zeit für Wiedergutmachung. In: Public History Weekly 3 (2015) 5, DOI:dx.doi.org/10.1515/phw-2015-3448. Ich beschäftige mich seit einiger Zeit mit der Geschichte von Minderheiten und deren Thematisierung im Unterricht. Nicht nur der rechtliche Schutz, sondern vor allem auch ihre Respektierung durch die Mehrheitsgesellschaft ist ein wesentliches Element einer demokratischen Gesellschaft. Und damit auch ein Schlüsselinhalt von Geschichtsunterricht und politischer Bildung. Wie zentral er ist, zeigen die leidvollen Erfahrungen von Angehörigen unterschiedlicher Minderheiten in Geschichte wie Gegenwart. Damit ist die Forderung nach Wiedergutmachung nicht nur verständlich, sondern zwingend. Eine demokratische Gesellschaft kann nicht mit Verdrängung leben. Denn Wiedergutmachung zeigt ja schliesslich auch, welche Werte der aktuellen Mehrheitsgesellschaft wichtig sind. Lernende fragen nach dem Ursprung von Entwicklungen genauso wie nach den Gründen für menschliches Handeln in Gegenwart und Vergangenheit. Und sie wollen stets wissen, wie man das werten soll. Doch obwohl sie Anspruch auf die Diskussion ihrer Fragen hätten, endet der Unterricht viel zu oft bei der Sachanalyse. Zu einem Sachurteil oder gar zu einem Werturteil kommen nicht alle Lehrer. Da teile ich Peter Gautschis Erfahrungen. Welche Verantwortung haben wir gegenüber dem Handeln unserer Vorfahren? Oder neutraler gefragt: welche Haltung nehmen wir dazu ein? Es gibt wohl kaum eine spannendere Frage im Geschichtsunterricht. Und eigentlich schwingt sie bei vielen Gegenwartsbezügen mit – leider oft nur unterschwellig. Ganz anders in der öffentlichen Erinnerungskultur. Peter Gautschi weist zu Recht darauf hin, dass sich in den letzten Jahren – auch unter dem Eindruck der Diskussion rund um die Rolle der Schweiz im Zweiten Weltkrieg – eine Form herausgebildet hat, die Fragen stellt und Unrecht thematisiert. Sie steht allerdings im Gegensatz zur anderen Erinnerungskultur (die in der Schweiz nach Marko Demantowskys These eigentlich eine wiederaufgewärmte Geschichtskultur der 1950er-Jahre wäre), die keine Fragen zulässt, forschungsfern ist und einzig der Selbstvergewisserung dient. Peter Gautschi zeigt, dass nur ein Schweizer Lehrmittel ausführlicher auf die Frage nach Wiedergutmachung eingeht. Es handelt sich um ein Lehrmittel zur Schweiz im Zweiten Weltkrieg. Multiperspektivisch und sorgfältig abwägend wurde hier versucht, einen neuen Zugang jenseits nationaler Erzählmuster zu öffnen. Nach den neuen Forschungsergebnissen war dieses Projekt dringend notwendig. Trotzdem wurde es von Protagonisten der traditionellen Geschichtskultur heftig angegriffen und ihr Diskurs beherrschte in der Folge die öffentliche Debatte. Erinnerungskultur ist aber vielschichtiger. Interessant sind dabei die Ergebnisse von intergenerationellen Gruppendiskussionen, die 2007-2009 im Rahmen eines Forschungsprojekts zur Schweiz im Zweiten Weltkrieg geführt wurden. Dabei waren sich alle Teilnehmenden einig, dass „Erinnern, um aus Fehlern zu lernen“ wichtig sei. Ebenso wichtig fanden viele Teilnehmende die kritische Aufarbeitung der Erinnerung. Viele vertraten aber auch die Ansicht, dass mit der Arbeit der Unabhängigen Expertenkommission diese Aufarbeitung erfolgt sei und der Diskurs nun abgeschlossen werden könne. Eine ständige Erinnerung an vergangenes Unrecht wurde von vielen kritisch beurteilt. Diese Ergebnisse weisen darauf hin, dass Erinnerung nicht so einfach ins geschichtskulturelle „Langzeitgedächtnis“ zu überführen ist. Vielmehr besteht die Gefahr, dass wissenschaftliche Argumente als elitär und abgehoben abgelehnt werden und dafür wieder vermehrt auf die oben angeführten traditionellen Geschichtsbilder zurückgegriffen wird. Darin haben dann weder kritische Fragen noch Selbstreflexion Platz. Was bedeutet das für die Schule? Im Unterricht wie in der Öffentlichkeit müssen wir Geschichte und Geschichtsbilder diskutieren, begründen und immer wieder neu formulieren. Deswegen müssen Lehrende befähigt und ermutigt werden, Geschichte nicht nur zu lehren, sondern auch zu reflektieren. Denn wir sollten Lernenden vermitteln, dass Diskussionen über die Deutung der Vergangenheit helfen, uns selber über unsere Werte und Vorstellungen klar zu werden. Am Interesse der Schülerinnen und Schülern würden solche Konzepte wohl kaum scheitern. Bernhard Schär u.a. (2014): Auf der Suche nach der verlorenen Erzählung. Das Thema „Schweiz – Zweiter Weltkrieg“ in Schule und Öffentlichkeit. Ergänzungen zu Regula Ludi. Traverse 2014/1, S. 153–170, hier S. 162. In der Schweiz stellt sich die Frage der Wiedergutmachung neben den fürsorgerischen Zwangsmaßnahmen insbesondere in Zusammenhang mit dem Zweiten Weltkrieg (nachrichenlose Vermögen, Flüchtlingspolitik). Die “Schweizer Vergangenheitsbewältigung” wird zuweilen als “Politik mit der Geschichte” kritisiert, wie etwa im Buch von Stefan Schürer “Die Verfassung im Zeichen historischer Gerechtigkeit”. Ich zeige in einem Review die Unterschiede zwischen einem rechtlichen und historiographischen Zugang zu diesen Fragen auf. Die Besprechung ist in der “Schweizerischen Zeitschrift für Geschichte”, 62 (1), 2012, greifbar. Was Schürer kaum thematisiert, ist die Relevanz unterschiedlicher Erinnerungen der verschiedenen Akteure. Peter Gautschi zeigt in seinem interessanten Beitrag aber auf, wie wichtig diese Perspektive für die “Aufarbeitung der Vergangenheit” ist. Ein besonders interessantes Thema für die Schule. Kinder und Jugendliche können in einer erinnerungs- und erzähltheoretisch vermittelten Geschichte sehr viel über sich und ihren Umgang mit andern in der Gegenwart lernen. Es gibt mittlerweile insbesondere in der französischen Schweiz verschiedene Lehrmittel, die die Forschungsergebnisse der Unabhängigen Expertenkommission “Schweiz – Zweiter Weltkrieg” vermitteln – ein Beispiel: “Le rapport Bergier à l’usage des élèves” von Charles Heimberg. Ein Lehrmittel geht besonders systematisch auf die Frage der unterschiedlichen Erinnerungen in Bezug auf den Zweiten Weltkrieg und den Holocaust ein: “Hinschauen und Nachfragen, Die Schweiz und die Zeit des Nationalsozialismus im Licht aktueller Fragen” von 2006. Für die Aufarbeitung der Flüchtlingspolitik muss ein mehrdimensionaler Erinnerungsraum aufgespannt werden, wie ich in meinem Artikel “Drei Erzählungen über das Eigene und das Fremde” zu zeigen versucht habe. Dieser Artikel über “Die Schweiz und die Flüchtlinge im Zweiten Weltkrieg” ist im Buch Blickwechsel des Caritas-Verlags greifbar. Public History als Masterstudiengang in der Schweiz? In seinem anregenden Beitrag legt Peter Gautschi dar, wie essentiell die Herstellung eines thematischen Gegenwartsbezugs für den Geschichtsunterricht sein kann. Wenn sich zudem aufzeigen lässt, wie sich Menschen mittels Beschäftigung mit Vergangenheit sogar für eine gerechtere Welt einsetzen, ist dies ein äusserst wertvoller didaktischer Anknüpfungspunkt an die lebensweltlichen Erfahrungen der Lernenden. Heute herrscht auf den Sekundarstufen I und II, im Vergleich zu ein paar Jahrzehnten zuvor, ein multiperspektivischer Geschichtsunterricht vor, der auch Minderheiten berücksichtigt. 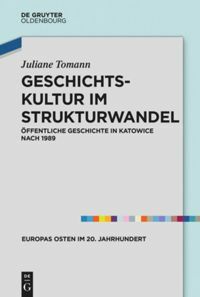 Diese Entwicklung ist v. a. dem Post Colonial Turn der letzten 20 Jahre in den Kultur- und Sozialwissenschaften zu verdanken. Seither rückten vermehrt bislang verdrängte Themen in den Fokus der Forschung und prägten verschiedene Lehrmittel. Ein Zusammendenken von Sachanalyse, Sachurteil und Werturteilen lässt sich besonders gut an bislang für die Öffentlichkeit eher unbekannten Themen realisieren, denen noch lebende ZeitzeugInnen – wie ehemalige Verdingkinder – Gesichter und Stimmen geben und für Betroffenheit sorgen können. Durch gezielte Aufarbeitung und Aufbereitung mittels Public History wie Ausstellungen oder Dokumentarfilme können solche Themen rasch von einer breiten Öffentlichkeit rezipiert werden. Im Gegensatz dazu haben Geschichten von Minderheiten, die schon vor Generationen konsequent ausgeblendet wurden, einen viel schwierigeren Stand, in die aktuelle Geschichtskultur einzugehen. Beispielsweise waren Schweizer SoldatInnen, HändlerInnen, Kaufleute, UnternehmerInnen, SiedlerInnen und MissionarInnen in Nordamerika in das global agierende System europäischer Expansion involviert und in die damit einhergehende Zurückdrängung und Vernichtung indigener Ethnien und Kulturen verstrickt. Während jedoch der Aufbau der Neuen Welt fester Bestandteil der schweizerischen Erinnerungskultur ist, wird hingegen die Zerstörung einer seit Jahrtausenden existierende Alten Welt nicht berücksichtigt. 2006 wurde auf Ellis Island (N.Y.) die Ausstellung Small Number – Big Impact, gezeigt. Diese gastierte anschliessend im Schweizerischen Landesmuseum Zürich. In der Ankündigung war zu lesen: “Heute haben rund 1,2 Millionen US-Bürgerinnen und -Bürger Schweizer Wurzeln. Verglichen mit Iren, Italienern und Deutschen, ist die Zahl der ‚New Americans’ aus der Schweiz klein – eine ‚small number’. Ihr Einfluss war und ist dennoch beträchtlich – ein ‚big impact’. Die Ausstellung verfolgt die Spuren von 26 Schweizer Auswanderern und ihren Nachkommen in den Bereichen Musik, Wissenschaft, Wirtschaft, Kunst und Politik.” Einseitig wird der kreativen Seite der schweizerischen Beteiligung am Aufbau der heutigen USA gedacht, während ihre zerstörerische Seite nicht thematisiert wird. Ein ähnliches Bild vermittelt auch das 2011 vom Schweizer Fernsehen produzierte “Fernsehabenteuer” Panamericana. In der 7-teiligen Serie bereist Reto Brennwald Amerika von Alaska bis Feuerland. Er berichtet Interessantes über Landschaften und deren BewohnerInnen. Auch das Alltagsleben von indigenen Ethnien wird sensibel, jedoch ohne historische Tiefenschärfe, portraitiert. In der letzten Folge ist Brennwald auf der chilenischen Insel Chiloe zu Gast bei Sonia Catepillan Guiano, die dem Fernsehpublikum als “Nachfahrin der Mapuche-Indianer” vorgestellt wird. Während der Unterhaltung kommt sie im Zusammenhang mit dem Bau der heute unter UNESCO-Welterbe stehenden Holzkirchen auf den kulturellen Genozid zu sprechen: “Der Gott, der die Kirchen gemacht hat, hat uns auch unsere Dörfer und unsere Sprache weggenommen.” Darauf entgegnet der Reporter unbeholfen, “aber die Kirchen sind sehr schön hier” und wechselt das heikle Thema. Dabei wäre es für ein besseres Verständnis der Mapuche wichtig, genau diese Geschichte eingehender zu beleuchten. Dass die unter der Armutsgrenze lebenden Mapuche noch immer um ihren angestammten Lebensraum kämpfen, der ihnen im 19. Jahrhundert enteignet worden war, machte die Ermordung eines schweizerstämmigen Farmerehepaars vom 4. Januar 2013 deutlich. Die blutige Auseinandersetzung sorgte auch in der deutschsprachigen Presse für Schlagzeilen. In einem Artikel war zu lesen: “Die Mapuche, Nachfahren eines der kriegerischsten Völker Südamerikas, beanspruchen das Land für sich.” Der Ausdruck “eines der kriegerischsten Völker” ist insofern irreführend, da es die Mapuche als Aggressor benennt und dies nur weil sie sich gegen die Invasoren und deren brutale Landenteignung zur Wehr gesetzt hatten. Gewiss ist die Ermordung zweier Menschen ein schreckliches Ereignis, das die Tragik der Geschichte widerspiegelt. Doch im gleichen Augenblick müssen die Zusammenhänge richtig und frei von imperialistischer Sprache dargestellt werden. Um solche mit einer deutlichen Schlagseite behafteten öffentliche Geschichtsbilder mit ihren verdrängten Geschichten zu ergänzen, sind HistorikerInnen in der Forschung, im Geschichtsunterricht und auch in der öffentlichen Vermittlung ständig gefordert. Wäre es in diesem Zusammenhang nicht erstrebenswert, an Schweizer Universitäten oder Pädagogischen Hochschulen etwa die Einführung eines Masterstudiengangs in Public History in Erwägung zu ziehen? Dabei könnten angehende HistorikerInnen von Grund auf lernen, wie sich komplexe historische Zusammenhänge einem breiten Publikum vermitteln lassen. Denn wie kein anderer geschichtswissenschaftlicher Bereich kann eine kritisch betriebene Public History als Schnittstelle zwischen historischer Forschung und geschichtskultureller Öffentlichkeit dazu beitragen, geläufige Geschichtsbilder differenzierter darzustellen. http://www.smallnumber.ch/index.html (zuletzt am 31. 03. 2015). Panamericana. Von Alaska nach Feuerland mit Reto Brennwald, SRF 2011. Marti, Werner: Neue Gewaltwelle in Südchile. In: NZZ, 18. 01. 2013. Weiss, Sandra: Konflikt zwischen Schweizer Einwanderern und Mapuche in Chile eskaliert. In: Badische Zeitung, v. 07.01.2013. Vgl. Richter, Janine: Leserkommentar ebd. « Studying history without linguistic competences and reading competence?